The Gaylord Texan is a destination in itself. The light-filled atrium inside the resort reflects the history of Texas, from the first Spanish settlers to El Alamo to today. This fabulous resort is a few minutes from DFW airport, making it an ideal location for conventions and conferences that draw attendees from all four corners. 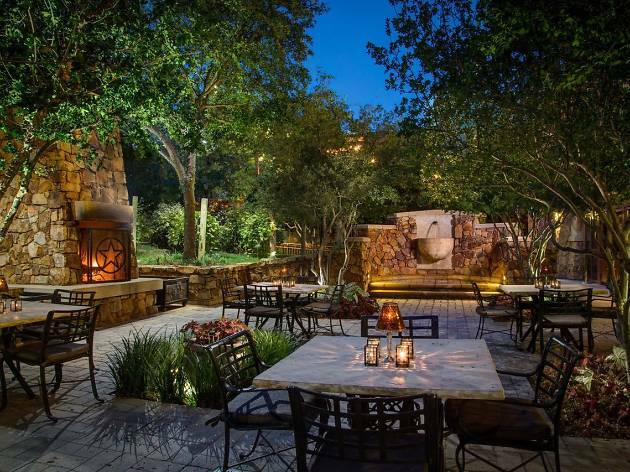 The resort sits on the shores of Lake Grapevine and features 4.5 acres of indoor gardens, a riverwalk, a seasonal water park, ten restaurants and bars, 400,000 square feet of conference facilities and much more. Plus, if you decide to leave the resort, Historic Downtown Grapevine less than five minutes away, while downtown Dallas is just 35 minutes away. As for the rooms, expect a flat-panel TV, mini refrigerator, coffee maker, high-speed internet access (for a fee), pillowtop mattresses, an iron and ironing board. The fitness facilities are quite varied: jogging trails, a sauna, an exercise center with cardiovascular equipment, a heated outdoor pool, an indoor pool and hot tubs. The resort also features a luxurious spa, retail stores and boutiques. On-site parking carries a daily charge. Time Out tip: Let your hair down at Glass Cactus nightclub.